Elon Musk – Production Hell or Party Balloons? Pick One. Is Elon Musk – the recipient of over $5 billion government dollars – really the focused workhorse that he proclaims to be, or is he nothing more than a taxpayer-subsidized, scatterbrained mess hopelessly trying to put his science fiction dreams into reality? Wall Street is now largely betting against Tesla, which has consistently missed Model 3 production deadline after Model 3 production deadline. Some believe that the company is nearing its make-or-break moment. To prove private sector investment houses like Goldman Sachs wrong, Musk claims he is going through “production hell,” working at all hours to quench Tesla’s backlog bug. According to him, he moves his desk to wherever the most pressing Tesla problems are. Musk also claims to sleep on the Tesla Factory floor at night, which prompted his all-believers to start a Go Fund Me page to finance a couch for the billionaire. Musk wants you to think that he is a busy bee laser–focused on the mission at hand. But if Musk is truly so engrossed in meeting his Tesla deadlines, why is he spending time working on party balloons and bouncy houses? Who knows. Although sounding outlandish on its face, maybe the idea will actually work in recovering upper-stage rockets one day. But is now really the time for wild theorizing and experiments? Tesla just stopped Model 3 production again to “improve automation.” Its California factory is currently under investigation for safety issues. As of November, Musk’s car company is burning nearly half-a-million dollars an hour, and the billionaire still hasn’t resolved the laundry list of SpaceX security concerns that the NASA Aerospace Advisory Council and Department of Defense Inspector General brought to his attention in December and January, respectively. Party balloons and bouncy houses should be pretty far down on his to-do-list right now. It’s no wonder that Musk gets very little accomplished in a timely fashion. The huge disparity between Musk’s tales of his uncompromising attention and what appears to actually occur in reality is entirely laughable. Here is a guy who just days ago sent an all-staff e-mail to Tesla employees advising them to increase productivity by walking out of long meetings and refraining from using “nonsense words,” and yet, at this critical time for his companies‘ future, Musk turns around to toy with party balloons and bouncy houses. Wow. Unfortunately, this is not the only time that Musk has done something like this – it’s just the most recent example of a recurring pattern in Musk World. The billionaire is clearly way over his head in terms of putting all his ideas into reality. In October, Musk regularly tweeted about the current happenings of The Boring Company, the company he reportedly created to “build a tunnel boring machine and just start digging” after becoming fed up with traffic. He also kept actively promoting OpenAI, an organization that he co-founded to combat the risks he believes exist with artificial intelligence. Yet, in the opening week of November, SpaceX’s Block 5 Merlin engine, which the company will use in upcoming Falcon 9 rockets, suffered an explosion. One would imagine that this deficiency, as well as explosions like the one in 2015, which NASA wrote occurred due to the company implementing low-quality parts “without adequate screening … without regard to the manufacturer’s recommendations … and without proper modeling or adequate load testing of the part,” could have been prevented had Musk’s head been in one place at one time, but instead, he tried doing everything at once. Big Promiser Musk also said that he believed Tesla could produce 20,000 Model 3 cars in December; however, he was again very distracted. He continued with his active promotion of the Boring Company, started selling flamethrowers, and began more work on SpaceX’s Falcon Heavy, which was slated to launch in January (spoiler alert: it faced yet another setback before finally launching on a 4-plus year delay). And so, he ended up producing just 1,500 vehicles in the entire fourth quarter. Whether it’s proposing embedding computer chips in our brains for “consensual telepathy,” replacing airplanes with his rocket ship, or creating an underground, vacuum tube-centered transportation system, Musk has proven to the world that he sure can dream; however, he has done little to demonstrate that he can consistently deliver. His complete negligence of SpaceX and Tesla deadlines, particularly in recent months, has been entirely disrespectful to his investors. Few, if any, other entrepreneurs succeed at getting away with what he does on a regular basis. 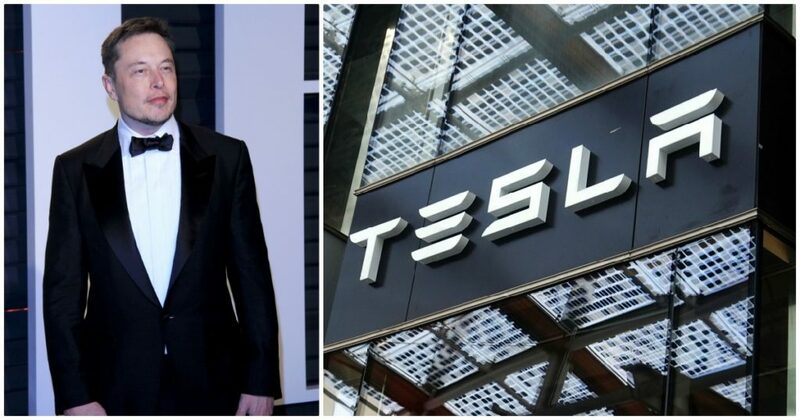 It’s time for the federal government to phase out the government giveaways to the Musk Empire so that Musk’s biggest investor – the American taxpayer – is no longer stuck financing this big dreamer’s all-talk, no action mentality. David Wallace, an entrepreneur, is president of the FAIR Energy Foundation and a Maryland Tea Party activist. He is also a political consultant and a former Republican nominee for Congress. The Left is Getting Worse by the Hour!Don't be Distracted by the Forces of Division!